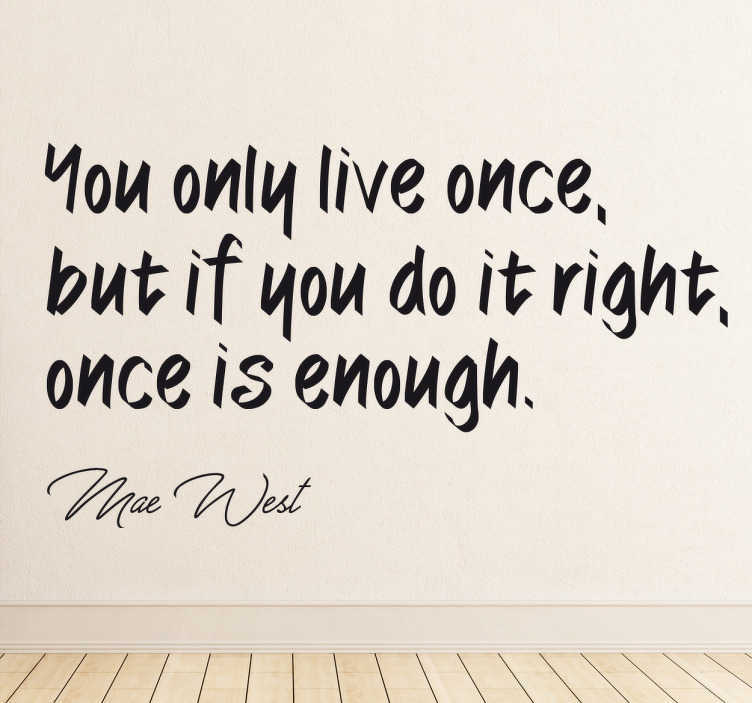 Decorate your home with this inspirational quote from Mae West. The wall sticker consists of the quote "You only live once, but if you do it right, once is enough." Under the quote is a signature of Mae West. Start everyday right with this wall sticker, giving you extra motivation on those tough Monday mornings. This sticker is available in many different sizes and colours.